Pet food is one of the many necessities of a traditional US household. With many homes caring for either a dog or a cat, buying for their meals everyday is a necessity. 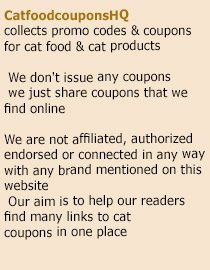 And now, you can enjoy a $1 discount on every 3.5lb Cat Chow dry cat food and the 4lb Dog Chow dry dog food you buy. This coupon is valid for larger sizes as well. This coupon discount is available from Target and you can enjoy it plus a few more others if you decide to be a registered user of their shopping site. Coupon deals like this are always available, you only have to browse and shop around to know which ones are offered for the day. Both the Cat Chow and the Dog Chow dry pet food are made by Purina, so you can be assured of its high quality and great nutrition. If you are thinking of switching to this brand, the best time to do so is right now, while the discount is on.